DMC ENTERPRISE was established in 2003 as a local distributor of Universal Robina Corporation (manufacturer of Jack n Jill snack products) in the Philippines. The operation grew and the company started to export Philippine consumer items to the Asia-Pacific region. DMC ENTERPRISE is an exporter consolidator of the Philippine's finest consumer products suitable for the supermarket trade, oriental stores and Filipino stores worldwide. 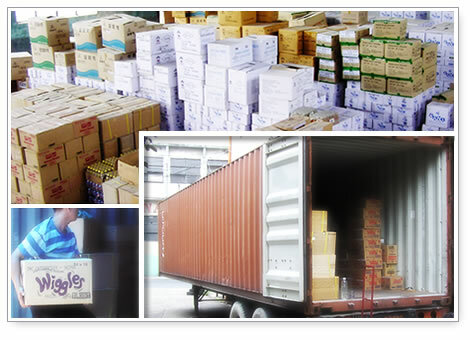 We are a one-stop export source of Philippine grocery items for food importers, international traders and retailers. We also specialize in distributing indigenous products from the 13 regions in the Philippines. Our warehouse and office have the capacity to ship out container vans of consumer products to any destination worldwide. We can give the most variety per container for our customers since we have a long standing business relationship with almost 300 manufacturers in the Philippines. - To deliver the best quality Philippine products to any part of the world.